Fianna Fáil Leader, Micheál Martin has said the Government has an obligation to consider his party's call for a review of the tendering process for the National Broadband Plan. He was speaking ahead of tomorrow's Dáil vote on the issue which the Government looks set to lose. Micheál Martin said tonight that his party will increase the pressure on the Government to consider having a greater State involvement in the delivery of broadband to rural areas. He said the issue was not going away and the Irish people had been more than patient up to now. Around 542,000 homes and businesses around the country do not have access to high speed broadband. Earlier this month Eir withdrew from the tendering process for the NBP. Eir cited complexity in the tender process, together with growing uncertainty on a range of regulatory and pricing issues outside of the NBP process, as its reason for withdrawing. Although the decision means Enet is now the only remaining bidder, the Government said it would proceed with the tendering process. 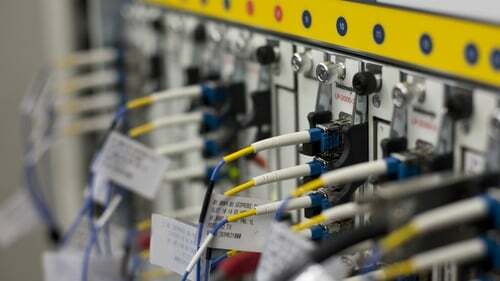 Is the National Broadband Plan doomed? Speaking in the Dáil tonight, the Minister for Communications, Climate Action and Environment, Denis Naughten rejected the suggestion that a review of the tender for the National Broadband Plan could run parallel with the process, describing it as 'totally unrealistic'. Minister Naughten said the proposal from Fianna Fáil suggests 'either a naivety, or that the National Broadband Procurement is being used as a political football'. He said: "The exercise would introduce uncertainty to the process, and legitimately the Bidder could decide to disengage from the process until the review was concluded." Minister Naughten also rejected the suggestion that there is any basis for carrying out a review. Fianna Fáil's Communication's Spokesman Timmy Dooley said a review could be carried out without delaying the National Broad Plan. Deputy Dooley said: "The simple fact of the matter here is that the process at this stage does not have the confidence of the people who expect to be served." Labour TD Sean Sherlock told the Dáil that he saw no reason why there could 'not be a short sharp review'. Minister Sean Canney said he was concerned about gaps in the rollout of broadband, which he said could be divisive for communities, where 10 houses are left out in an area. He said Eir had created a difficulty with these gaps, describing it as a 'huge problem'. However, Minister Canney said a review of the tender process was not necessary. Sinn Féin TD Martin Kenny said some areas of Co Leitrim cannot have ATMs because broadband is not strong enough. He told TDs that the Government had to step in and roll up its sleeve, suggesting that the ESB network could be used as an alternative.